Moving In The Boca Raton, Medley, Or Fort Lauderdale Area? Hire a Moving Company in Miami, FL that fits your needs. 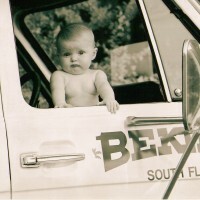 Bekins is the premier moving company for Miami, Ft. Lauderdale, West Palm Beach, and all of the surrounding areas in Southern Florida. We can help take the stress out of your move. Your ballpark estimate is designed to give you an idea about the cost of your upcoming move, but is not a guarantee of price. 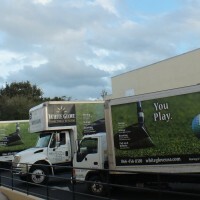 Want more information about moving Medley, Boca Raton, and Ft. Lauderdale area? 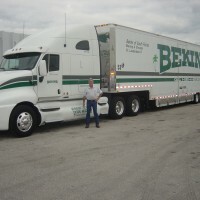 With over 125 years of experience and dedicated moving agents, Bekins Van Lines is the trusted mover in Miami and Southern Florida. Whether you are moving long distance or moving locally, your dedicated move manager will ensure your relocation is stress free. Bekins is known for excellence in customer service, which includes a move manager that will be in contact with you every step of the way. From the time you schedule your move until the last box is unpacked, Bekins is here for you. We’ve been moving families like yours across the nation for 125 years. Over that time, we’ve learned a thing or two about what it takes for a successful move—which makes us among the most trusted, sought-after movers in the business. Moving can be difficult but when you work with Bekins the transition is easy. A personal Bekins Moving Coordinator will work closely with you to make your long distance move better than you ever thought possible! We will handle your belongings with care to move you from Point A to Point B – no matter how far apart. With over 125 years of experience in the moving industry, you can trust the Bekins team for a simple, efficient move. Just leave the heavy lifting to our movers – we’ve got your back. The ballpark moving quote is just the first part of the moving process. Once you’re ready to get a more accurate estimate, we’ll send one of our expert agents to your home to conduct a free, no-obligation in-home moving estimate.